Happy Bastille Day! I'm so pleased to have gotten the chance to interview Catherine Delors about her wonderful new novel FOR THE KING (Dutton, July 2010). I had the pleasure of meeting Catherine this past winter, and found her delightful. I couldn't wait to get my hands on a copy of FOR THE KING! From the inside cover: The Reign of Terror has ended, and Napoléon Bonaparte has seized power, but shifting political loyalties still tear apart families and lovers. On Christmas Eve 1800, a bomb explodes along Bonaparte's route, narrowly missing him but striking dozens of bystanders. Chief Inspector Roch Miquel, a young policeman with a bright future and a beautiful mistress, must arrest the assassins before they attack again. Complicating Miquel's investigation are the maneuverings of his superior, the redoubtable Fouché, the indiscretions of his own father, a former Jacobin, and two intriguing women. Based on real events and characters and rich with historical detail, For the King takes readers through the dark alleys and glittering salons of post-revolutionary Paris and is a timeless epic of love, betrayal, and redemption. FOR THE KING is much more than just a historical thriller, it's more of a hearty beef bourgignon that you wash down with a good glass of pinot noir. The novel is almost a coming of age story for the protagonist Roch Miquel. He starts off the book, determined, ambitious, a bit pugnacious but still rather trusting, particularly of his superior Fouche, but by the end of the book, his illusions have been a bit shattered. His mistress, Blanche Coudert, is definitely a Scandalous Woman, beautiful, with many secrets that are slowly revealed throughout the course of the book. Surprisingly I found myself not hating her, perhaps understanding her a bit more by the book's end. Perhaps I'm just a hopeless romantic, but I believe that despite everything, she really did develop feelings for Roch. Roch has another woman vying for his attentions, Alexandrine who is the light to Blanche's dark. It is to the author's credit that she gives us two incredibly complex women who are more than what they seem. Anyone who has ever read a police procedural novel will recognize that although the science of police work has advanced, the politics and the personalities tend to stay the same over the centuries. Roch has to deal with superiors he finds incompetent, jealously from others who despise him because he came from nothing but has managed to rise quickly through the ranks, and how politics can sometimes override and sometimes hinder a case. Roch is also an outsider, he's from Auvergne, he grew up poor, speaking another language. Paris is almost a third character in the book. It's fascinating to read about a Paris pre Baron Hausmann when the city still retained much of its medieval character although that's rapidly changing with not just the revolution but Napoleon's rise to power. The little general is not seen in the novel but his presence is definitely felt throughout the book. I can't recommend this book highly enough. Welcome to Scandalous Women Catherine. Can you tell us a little bit about yourself and how you started writing? Thank you, Elizabeth, for having me here! Since my childhood I have always cherished the dream of becoming a writer, but it only took shape a few years ago. It began with a conversation with my father about the small mountain town whence our family comes, and before I knew it, I had started researching and writing my first novel. Your first book MISTRESS OF THE REVOLUTION was set during the French Revolution but your next book picks up six years later. What had changed during that time? So many things… Time was moving in fast-forward mode during the years of the French Revolution. True, MISTRESS OF THE REVOLUTION concludes with the fall of Robespierre and the execution of dozens of Jacobins leaders in 1794. An era of political corruption, runaway inflation and continuing civil war in the western provinces (the famous Chouan insurgency) ensued. Then in 1799 Napoléon Bonaparte seized power in a bloodless coup. His regime was already authoritarian, but the events that are the backdrop of FOR THE KING would allow him to eliminate his enemies on the right and left and strengthen his position. 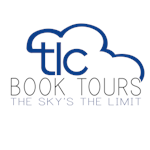 Your book FOR THE KING has been described as a historical thriller. What interested you in what happened on Christmas Eve 1800 and the Rue Nicaise attack? I believe “historical thriller” is the appropriate description for FOR THE KING. What drew me to this event was its similarities with the 9/11 attacks. Not in the number of casualties, of course (“only” a few dozen in the Rue Nicaise bombing) but the popular outrage, and its clever exploitation by politicians. One of the things that I loved most about FOR THE KING was the way that you managed to interweave historical information without stopping the flow of the story. 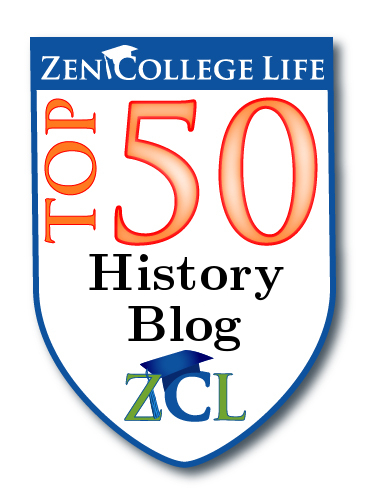 Where did you start in researching the Rue Nicaise attack? Well, I found tantalizingly little in scholarly works. All Napoleonic historians mention the Rue Nicaise bombing, but in a few sentences, as if it were a hiccup of history. There was nothing of interest there if I wanted to learn what had really happened. I had no choice, if I wanted to “get” the details of the conspiracy, but to delve myself into the deposition transcripts and other records of the investigation. Roch Miquel is a very much an outsider in FOR THE KING. He’s from Auvergne and comes from a poor background, yet he’s intelligent and filled with ambition. He’s not afraid to talk back to his superiors and he doesn’t suffer fools gladly. Did you base him on anyone in particular? No, Roch is purely fictional. He is still very young, very naïve at the beginning of the novel. Then he learns much in the few weeks of the investigation, about those around him, and about himself. Maybe he is reminiscent of what I was at the same age. I was intrigued by the two different factions: the Chouans and the Jacobins. Can you briefly tell us a little about them? They had divergent political aims: the Chouans were Royalists and wanted to restore King Louis XVIII to the throne, while the Jacobins yearned to return the ideals of liberty and equality promoted by the Revolution. Their goals couldn’t have been further apart, but they both wanted to eliminate Napoléon Bonaparte. Thus, after the Rue Nicaise assassination attempt, it was not obvious at all who, of those two groups, were the culprits. Many of their members were jailed together at the Temple as political prisoners, and I describe the camaraderie between them. I didn’t make this up, but found it described in the Memoirs of the Marquis de La Maisonfort, a Royalist secret agent who spent some time at the Temple himself. In your other life, you are an international lawyer, who lives in between London, Paris and Los Angeles. How do you carve out the time to write? Good question! Frankly, at times this dual career feels a bit overwhelming. Between my legal work, blogging, Twitter, Facebook, and all the promotion work at launch time, I have trouble finding time to write. I look forward to returning to my literary projects in a month or so. You are a huge fan of Jane Austen. How has her work had an impact on your writing? What other authors do you enjoy reading? I like to say that Jane Austen taught me to read English. I discovered her in my first years of college in Paris (she is not as popular in France as in the English-speaking world) by reading Pride and Prejudice in a French translation. This prompted me to read her novels in English. This was my first experience reading English literature, and was extremely influential on my own writing. I greatly admire Jane’s unsentimental take on life, and her extraordinary sense of irony. I have read some works by Balzac, in particular the wonderful Eugénie Grandet, dozens of times. Flaubert is also a favorite of mine. On the Russian side, I am not too fond of Tolstoy, whose ideas on women I find repulsive, but I greatly admire Dostoevsky, and the recently departed Alexandr Soljenytsine. I am working on the prequel to MISTRESS OF THE REVOLUTION. It too is a historical thriller, the story of a serial killer in the mountains of Auvergne, twenty years before the French Revolution. And I am also researching a book on Jane Austen. This one requires a tremendous amount of sleuthing in far-ranging archives, so the thriller/prequel will probably be completed first. 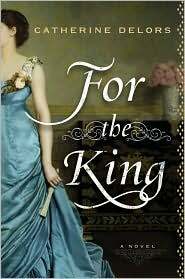 I have one copy of FOR THE KING to giveaway. Here are the rules: This giveaway is only available to American and Canadian readers. The giveaway is open from today until 12 p.m. on Wednesday, July 21st. The winner will be announced on Thursday, July 22nd. I would love to enter the contest! I'm a follower and I tweeted. I've enjoyed all the recent posts re. this novel, anxious to read it. Thanks for the giveaway. I'm already a follower. I am in the middle of reading this one. Love it! And thanks for the interview. The backstory is fascinating. I would love to win a copy of this book! It sounds fantastic. 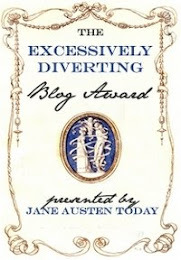 Hello, When I saw the name of your blog on someone's blogroll, I just had to check it out. When I'm not cooking (I do take a break occasionally), I enjoy working on genealogy. 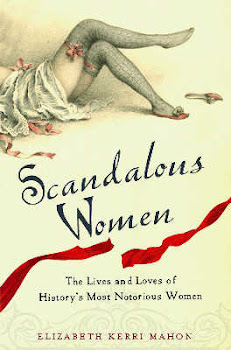 And I've uncovered a couple of Scandalous Women of the 18th century in my mother's line! I think the book also sounds interesting, and I'm also a follower. This sounds good! I would love to read it. Please enter me. Thank you!